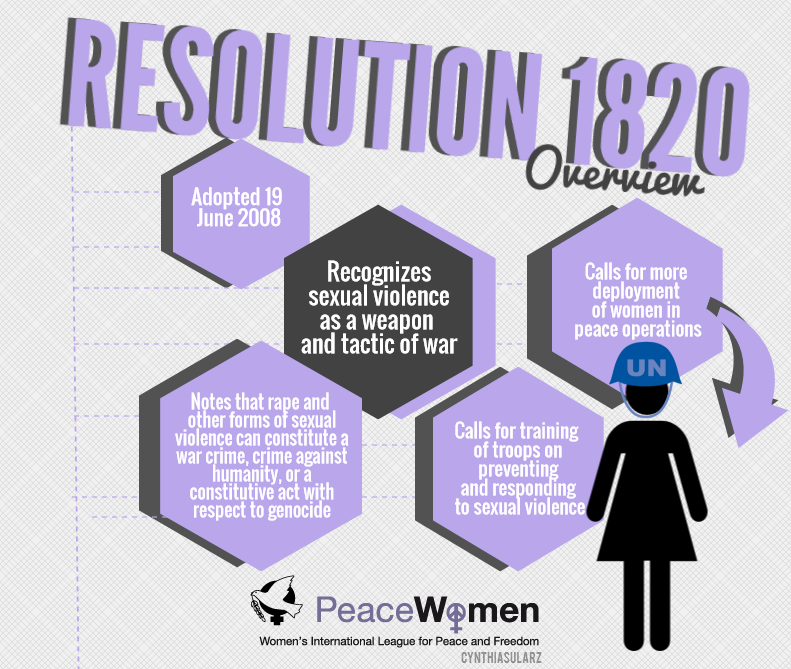 In 2008, the UN Security Council adopted the second resolution, Resolution 1820 (SCR 1820), on sexual violence as a weapon of war. Resolution 1820 was adopted by the Security Council at its 5916th meeting on 19 June 2008 in United Nations S/RES/1820 (2008). 16. Decides to remain actively seized of the matter."